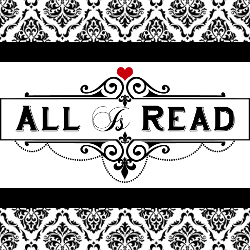 All Is Read : ~~*COVER REVEAL*~~ FINDING OUT by Lila Rose. I was born in Brisbane Australia, my step-dad was in the Army which caused us to move around a lot. We finally settled in country Victoria, Australia. I am the youngest of four children and I can say that I was spoilt a bit. I drove my mum crazy when I refused to eat meat at a young age. Now I live with my husband and two children, and I find myself regretting all the troubles I put my parents through because my monsters are just as picky as I was. I started writing in 2013 and self-published the first of the Hawks MC Club series Holding Out. The next to follow was something different, I wrote Senseless Attraction, a YA novel. Soon, I was back to the Hawks series with number two Climbing Out. I have more to write in the series, but there will be also be more novels in the humorous erotica genre, like Left to Chance.